“Chichibu Yomatsuri” (The Night Festival of Chichibu) is Reisai (annual festival) of Chichibu Shrine located in Chichibu city, Saitama Prefecture. The festival is also one of three major beautiful festivals or three major floats festivals in Japan along with the Takayama Matsuri Festival held in Hida and Gion Festival held in Kyoto City, and is a representative festival in Japan. “Chichibu Yomatsuri” is said to have already been held in the early Edo period 300 years ago, from the high historical and cultural value, it is designated as both the “important tangible folk cultural property” and “important Intangible Folk Cultural Asset ” of the country. 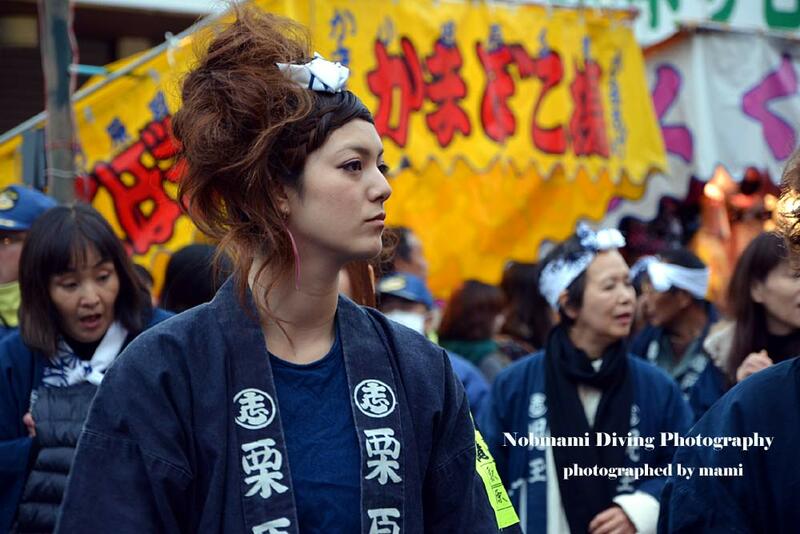 “Yama, Hoko, Yatai, float festivals in Japan” have been added to the UNESCO Intangible Cultural Heritage list in 2016, and “Chichibu Yomatsuri” was also registered as one of them. The festival is scheduled to be held every three days from December 2 to 4 every year. Especially at the Taisai Festival on 3rd December, “drawing a festival car in the town” was held all day and showed great excitement. “Taisai” is a day that can also be called the actual performance of “Chichibu Yomatsuri”, from 6 o’clock in the morning to the early next morning, all six festival cars are drawn. Also, like the Yoimiya Festival (eve of a festival vigil), each festival cars shows festival music, nagauta (festival song), dance and so on. 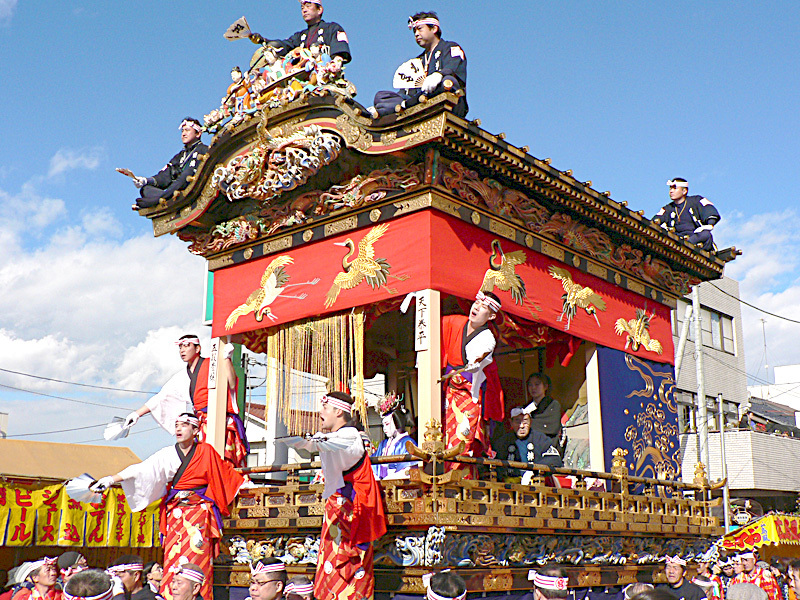 Besides this, one of the festival cars is used as a “Kabuki stage” every year, and a play is performed. At night, about 7,000 fireworks exceeding the Yoimiya Festival will be launched from the Hitsujiyama Park and burn the Chichibu night sky in winter. 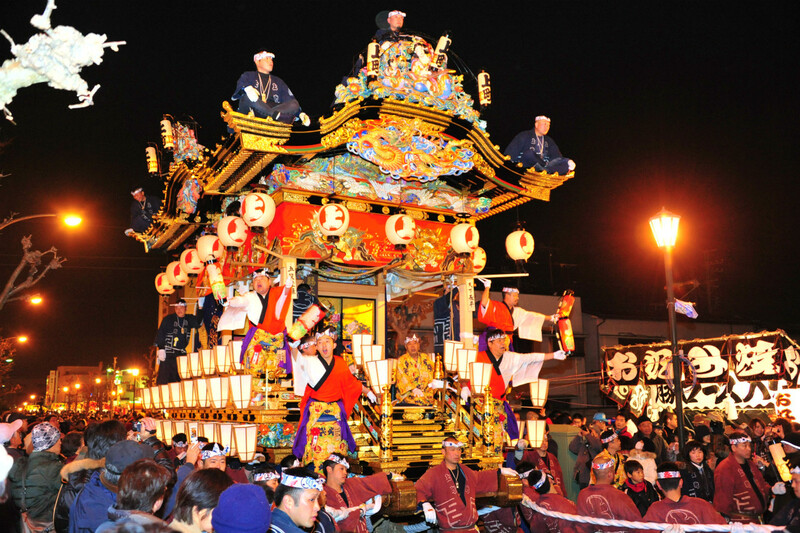 The “Chichibu Yomatsuri” (the night festival of Chichibu) is one of three major beautiful festivals or three major floats festivals in Japan along with the “Takayama Matsuri Festival” held in Hida and “Gion Matsuri Festival” held in Kyoto City. It has more than 300 years of history. 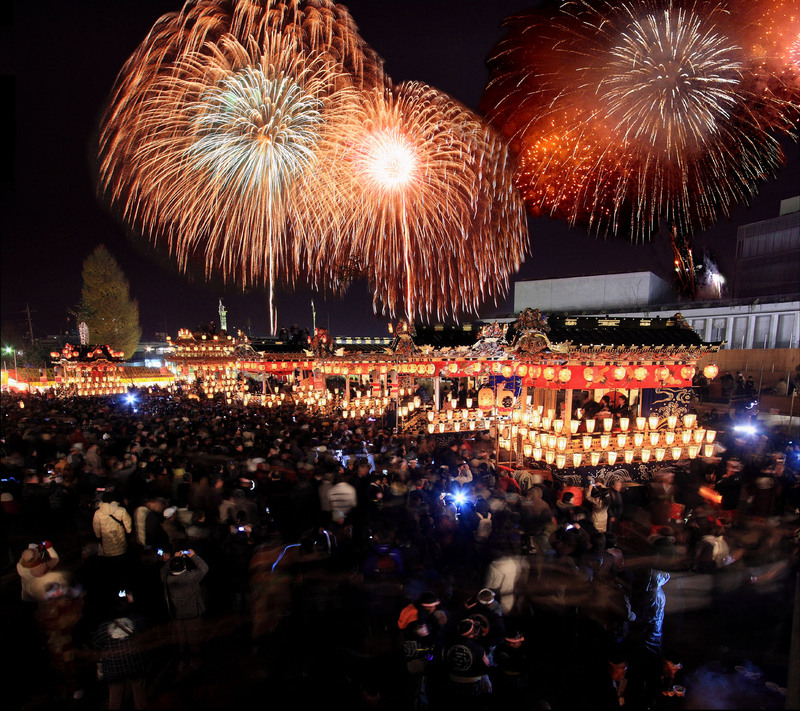 The Yoimiya Festival (Festival of eve) is held every December 2, and the Taisai Festival (Grand Festival) is held every December 3. This festival reaches its climax in the night of December 3. Six of the Kasaboko and the Yatai (both are festival cars), which has been designated as an significant folk cultural asset, are pulled in the festival. On December 3, Chichibu is filled with many tourists. 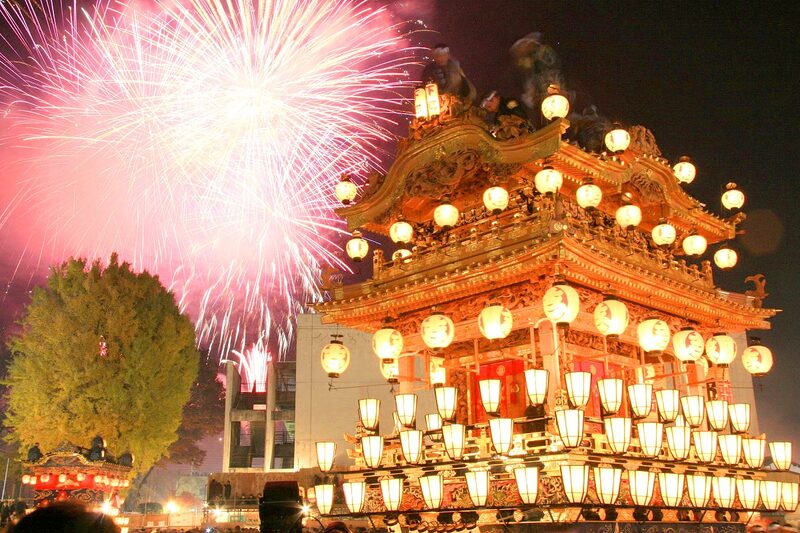 The annual festival of the Chichibu Shinto shrine known as “Chichibu Yomatsuri” with the gorgeous kasaboko and yatai being drawn throughout the town, magnificent “yataibayashi” (music of festival), fireworks coloring a night sky, and festival dance, continued to attract audiences for a long time.